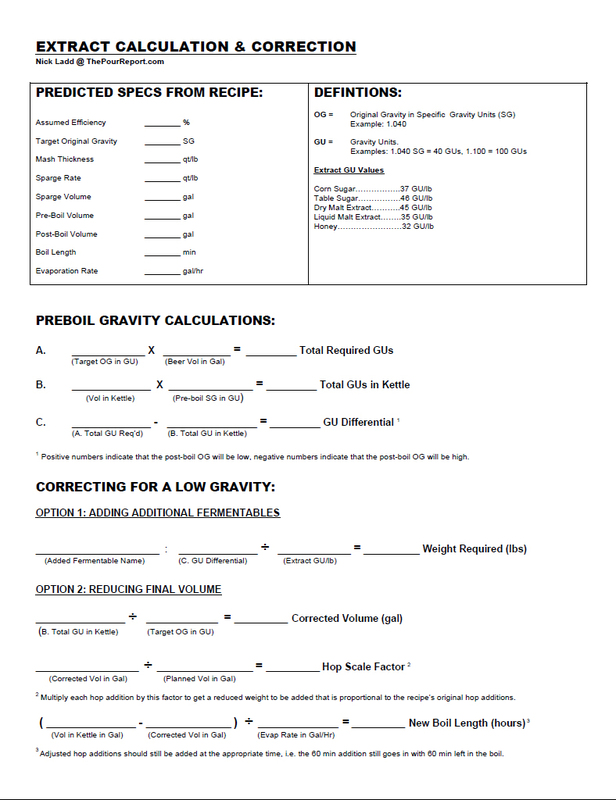 Worksheets, forms, data collection… you know, the fun stuff! 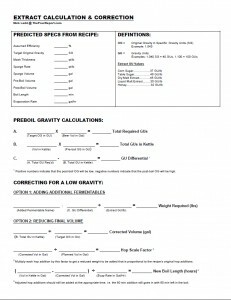 I am a very detail oriented brewer, and have developed a number of resources that I use to track my beers from brew day through consumption. I use these resources for nearly every beer that I brew. 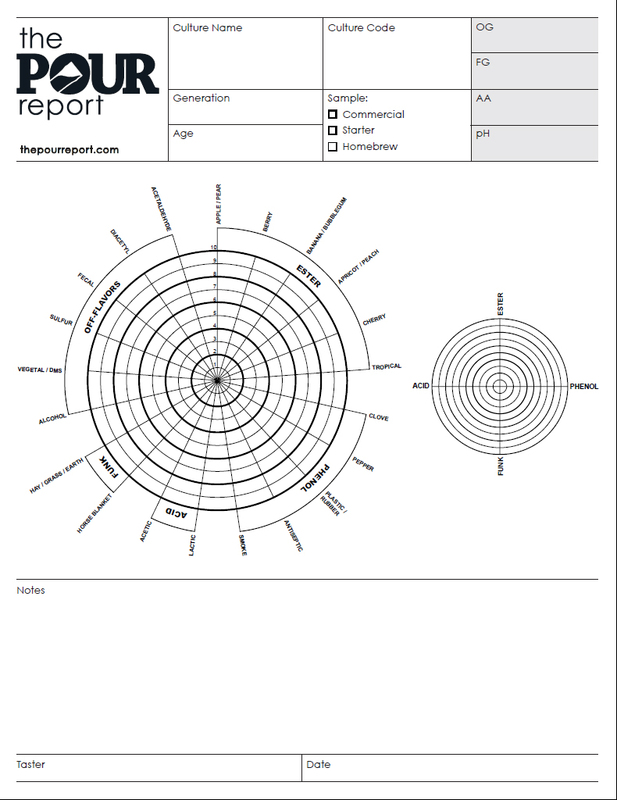 Please feel free to download and use yourself, or tweak to fit your own requirements. 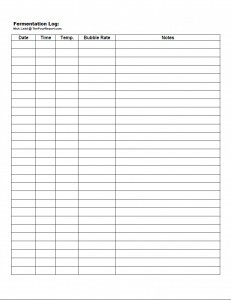 I print out a copy of this form and fill it out religiously for every beer that I brew. It is used to capture pertinent specs about the beer that is being brewed, record specifics about adjustments made during a brew day, easily and methodically adjust pre-boil gravities in order to hit targets, and capture the final specs for the finished beer. 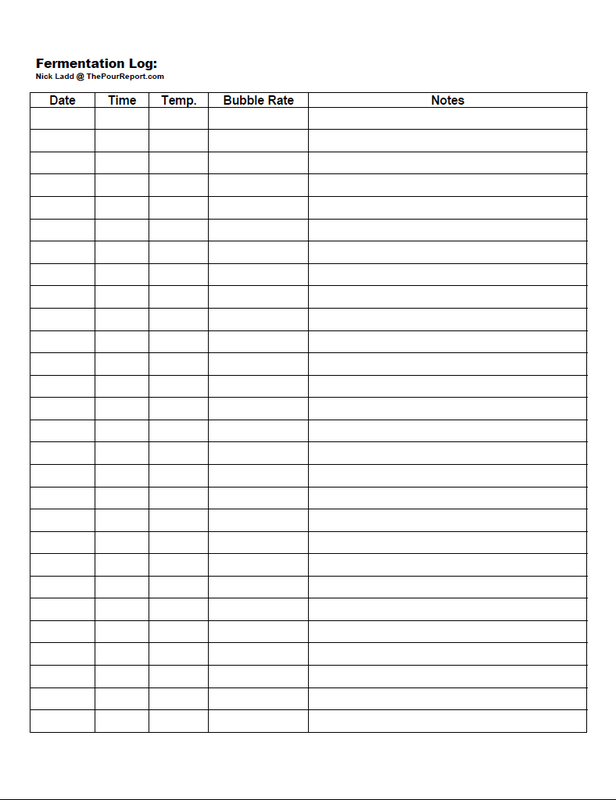 I use this sheet to track fermentation temperatures and activity for every beer that I brew. I count the bubbles coming from the airlock and record the data which allows my to track the vigor and trajectory of fermentation. 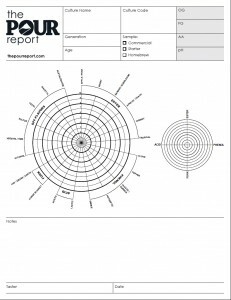 I use this worksheet to record specific sensory and analytic data for completed sour beers as well as sour beer cultures that I am propagating. It is used to capture basic information about how a specific mixed culture is expected to preform in terms of attenuation, pH, and flavor.